South Korea is number 3 in the world market of Bitcoin trading. It comes just after Japan and the U.S and accounts for 11.43% (according to Coinhills) of trade. It is the largest exchange market for Ether and accounts for 33% of the market share. The country also hosts two of the top 15 global digital-currency exchanges namely Bithumb and Coinone. Several weeks after China announced its ban on ICOs in September 2017, South Korea’s restrictions on cryptocurrency has been issued. The authorities are saying that they see ICOs as an unauthorized way of fundraising and that they are illegal. Also, the Korean government announced on December 28 that it will take additional measures concerning the regulation of domestic virtual currency transactions. Recently, the cryptocurrency market has been a hot topic when Bitcoin hit a new high at $20,000. Under this circumstance, the Korean government is considering a wide range of policy options for managing cryptocurrencies, as the capital gain arising from cryptocurrency transactions may possibly be subject to taxation. A Possible policy that is being approached is subjective to legislative approval. This is towards the country’s booming cryptocurrency market which involves the Office for Government Policy Coordination from the Ministry of Justice, Financial Services Commission, Korea Communications Commission, Fair Trade Commission and Ministry of Information and Communication. This move is considered as unsurprising to many people in the industry. The transaction volume of Korean major exchange Bithumb is high enough to compete for the first and second place in the world, and the Korean government expects an enormous increase in tax revenue in this world-class market. South Korea’s cryptocurrency exchanges will also be subject to cyber security checks – specific in the area of data loss and theft -just in case the new measures are approved. Daily trading from exchanges can be more than 10 billion won and with more than 1 million daily users. The exchanges would be required to obtain approval from the Korea Information Security Agency. Additionally measures against multi-level marketing schemes that involve digital currencies, a crackdown on the illegal use of industrial space for bitcoin mining and a ban on exchange accounts for minors may also be included in the discussion. South Korean regulators have announced a plan to ban banks from activities that involve cryptocurrencies. The move urges major banks in the country to make a declaration that they will no longer issue accounts required for crypto trading. Shinhan Bank, Korea Development Bank, and Industrial Bank of Korea have already made announcements. To start trading at a crypto exchange, a customer must first open a virtual bank account and deposit money into it. Almost all major Korean exchanges, including the country’s largest bitcoin exchange Bithumb, ask customers to log into virtual bank accounts before trading. It is impossible to sell and buy virtual currencies through banks, if a bank closes an exchange’s virtual bank accounts. The state-run Korea Development Bank that issues virtual bank accounts for Coinone, has announced it will stop all businesses related to cryptocurrency transactions, including bitcoin starting January, 2018. Also South Korea’s top bitcoin exchanges are all affected including Bithumb, Coinone, and Korbit. Miners and foreigners will be banned from both trading in cryptocurrency and creating bank accounts in the country in accordance to the regulators plan. 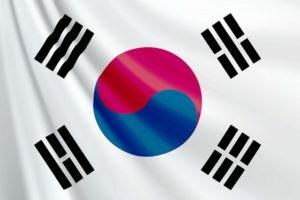 South Korea – the 3rd largest exchange market for Bitcoin in the world has now faced some challenges from its own state government. At present, all countries in the world are seeking laws and regulations that are suitable for their own national conditions and national qualities, accepting or suppressing changes. The future is in the hands of those who make the effort to learn new technology and adopt new changes. The future of the cryptographic currency depends on people who are trying to learn new technologies and try to incorporate new changes, and the crypto-currency exchange and Cryptographic currency exchanges, FinTech companies will need to flexibly respond to the situation in their own country about the cryptocurrency. And we – Wrapious ltd. are trying to research and to develop our products to meet our customer’s needs. In the near future, Wrappy, our next-generation SNS will be available as the most convenient tool that can simultaneously provide both SNS service and utilize cryptocurrency Proteusion.